MIUI 9 is already announced and MIUI 9 China ROM is already available for the Redmi Note 4. So here in this guide, we will show you how to Root Redmi Note 4 on MIUI 9 ROM. 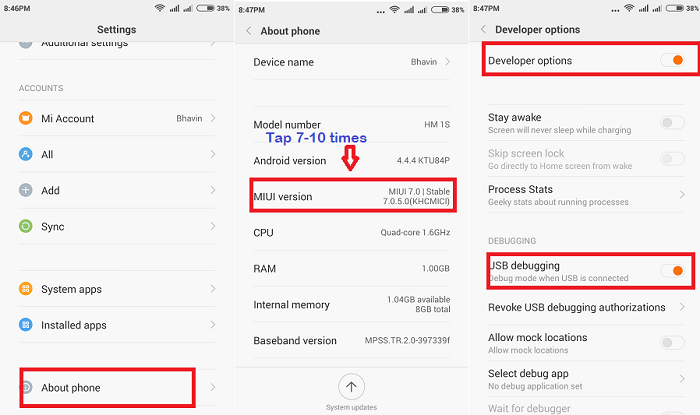 This method works on Redmi note 5 which is running on any MIUI 9 version, whether it is China, Global, Beta, Developer etc. We tested this guide on Redmi note 4 phone which is running on the latest version of MIUI 9 China ROM. To get the Root Access on Redmi note 4 all you have to install TWRP custom recovery on your Phone and install the Super Su zip file. But for that, you need to unlock the bootloader of your phone. 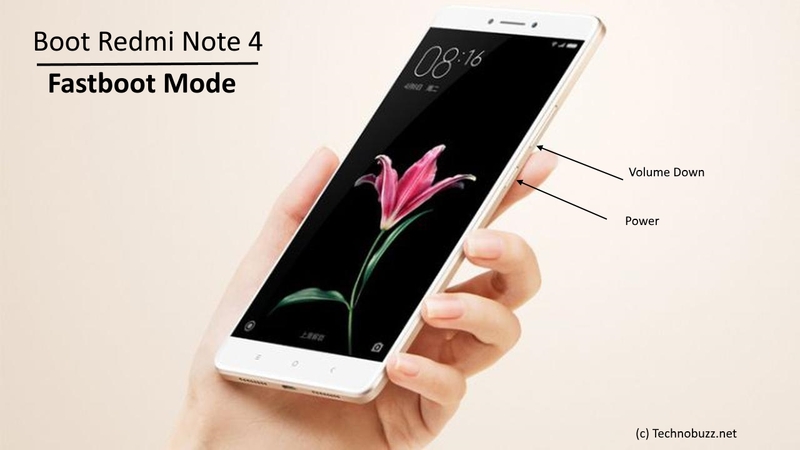 Here is the official guide to unlock the bootloader on Redmi note 4. Once the phone is rooted you can install Custom ROM, Install Xposed Framework and improve the Sound quality of the phone by Flashing Dolby Atmos mod zip file. So if you are the Redmi Note 4 user and want to root your phone, let me guide you through the entire rooting procedure. The whole process is simple and all it take 15 to 20 minutes to get the root access on the Phone. THis method will work on both MIUI 8 and MIUI 9 Note 4. So let’s get started and Root Redmi Note 4 on MIUI 9. Unlock Bootloader in Redmi Note 4 from here. Setup ADB and Fastboot Drivers on your windows PC. To run the ADB commands from your desktop. Take the backup of your Redmi note 4. Make sure that your phone has enough battery, above 60%. 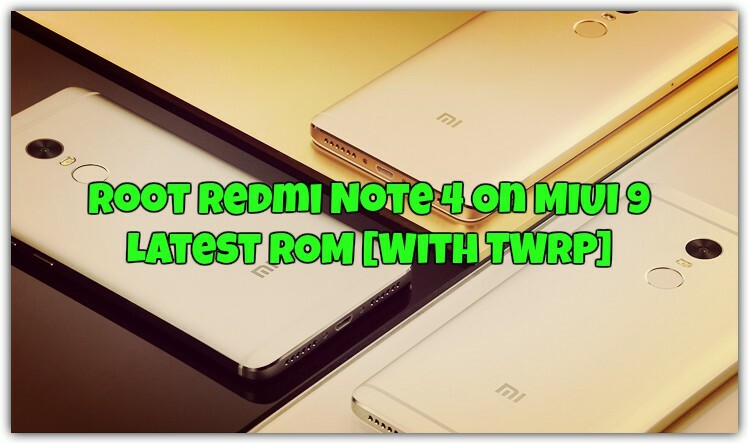 a) Download the TWRP recovery for Redmi note 4 here. 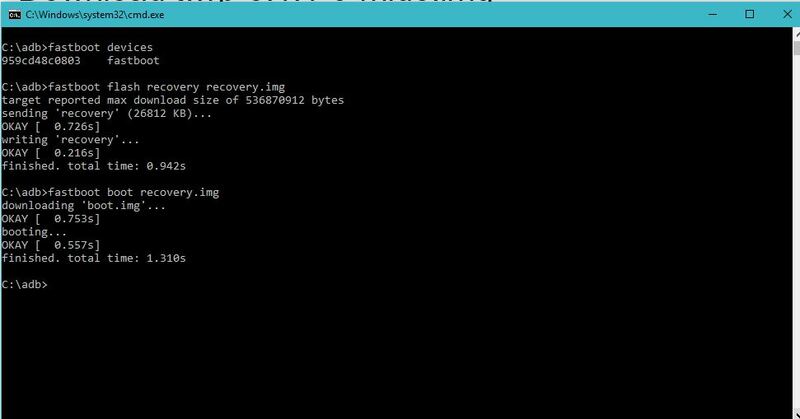 Rename the recovery file to recovery.img. And place the file in the ADB folder that you created at the time of ADB and Fastboot drivers installation. Unlocking Bootloader: First we need to unlock the bootloader, which will allow installation of custom software (TWRP). If you already done that then leave the unlocking steps and go to the TWRP guide. Installing TWRP Custom Recovery: We need to install the TWRP Recovery for Xiaomi Redmi Note 4. Through TWRP we can flash SupperSU file to get the root access. Root Redmi Note 4: Final step, just flash the SuperSU zip file and root the Redmi note 4 running on the MIUI 9 or MIUI 8 ROM. 1. Visit the MiUnlock page, Sign in with your Mi ID and request for Bootloader unlock with proper reason. If already done that, then go to the next step. 1. 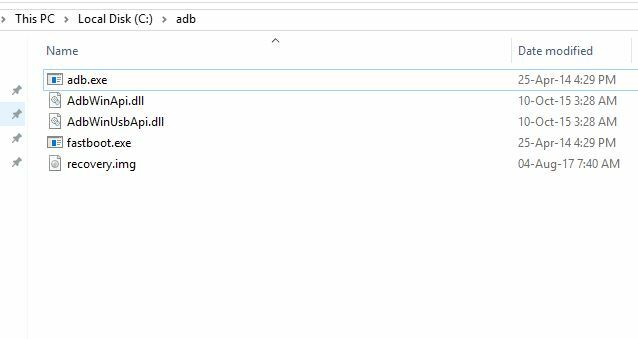 Open the ADB folder on your PC in which you saved the recovery.img file. 3. 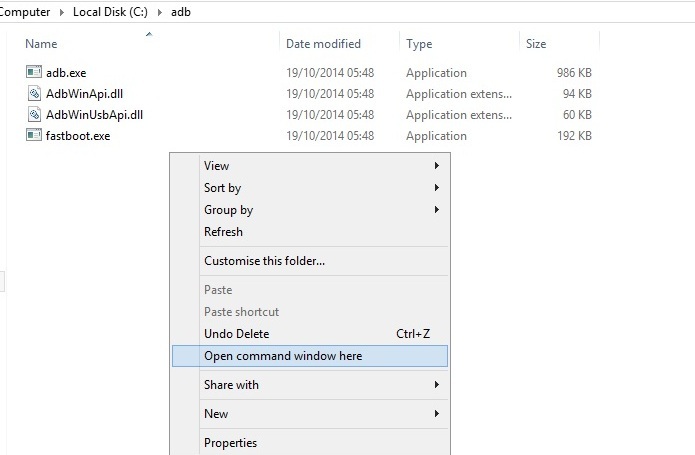 Now run the command prompt windows in ADB folder. To do this press and hold the ‘shift’ key and right-clicked anywhere in that folder. 4. Now boot your phone is fastboot mode and connect it to the PC. Press and hold Vol Down and power button to boot into fastboot mode. 5. Run the below command in the command windows to check if everything is setup well. It will return serial code with connected devices. 6. Now time to flash the TWRP on the phone. Enter the following command and hit enter. 7. Now the TWRP recovery is successfully installed on your phone. Now boot your phone in TWRP mode. Now to root the Phone check the below mention rooting guide. 1. 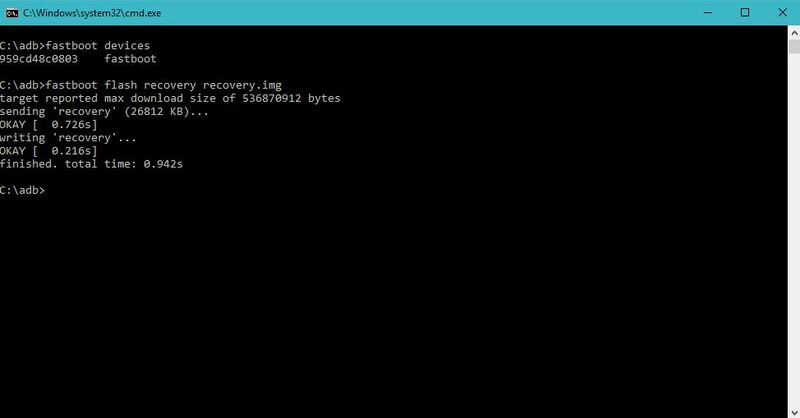 Now your phone is in the TWRP recovery mode. On the main screen you will some messages. Select your preferred Language and set it to what you want, tap “Never show this screen on boot again”, and Swipe allows modification. 2. Click on Install and locate the SuperSU Root file that you saved on your phone. 3. Swipe to confirm installation of SuperSU Root file in Xiaomi Redmi Note 4. 4. After the installation is completed, Clear Dalvik cache and Cache. Now reboot your Xiaomi Redmi Note 4. Direct Link of Youtube Video. You have successfully rooted your Xiaomi Redmi Note 4 with the latest SuperSU file. To check Root status, you can use any Root Checker App from Playstore. If you have any doubts, you can ask me in the comment section. hi. thanks for your guide. i successfully install twrp and root my note 4. cheers…. regards from malaysia. Thanks for the process I successfully installed the TWRP and ROOTED my phone.